A long week of seemingly endless parent-teacher conferences was forgotten with the joy of seeing my son before the Marine ball last night. I’ve harbored many anxieties about him, yet here he is a Marine Reservist, as well as a barista for Starbucks, in training to be a supervisor. The fact that he didn’t go to college seems less important now as he finds his own way. Not my way. I guess we’re both growing up. After the novels by Thomas Mann, I’ll read some Stefan Zweig, and this week Tom of Wuthering Expectations brought up the wonders of Essie Briest. Loved Anna Karenina, loved Madame Bovary, now I’m curious to see what the Germans have to say about a woman involved in an illicit love affair. Meanwhile, I’m listening to Remembrance of Things Past, specifically The Guermantes Way, as a ‘read-along’ with Arti and Stephanie. They are probably farther along than I, but how lovely it is to hear Proust read aloud to me as I drive to work each morning. The time he takes to illuminate a single moment gives me pause to slow down and remember my own past, as I dwell in the recollections of his. January brings us to Edith Grossman’s translation of Don Quixote, a shared read with Richard and Amanda, taken at a leisurely, comfortable pace. As reading ought to be. Such beautiful books for reading and giving. Previous Post No, Tony, No! Don’t Marry Herr Grunlich! Beautiful picture, Bellezza. 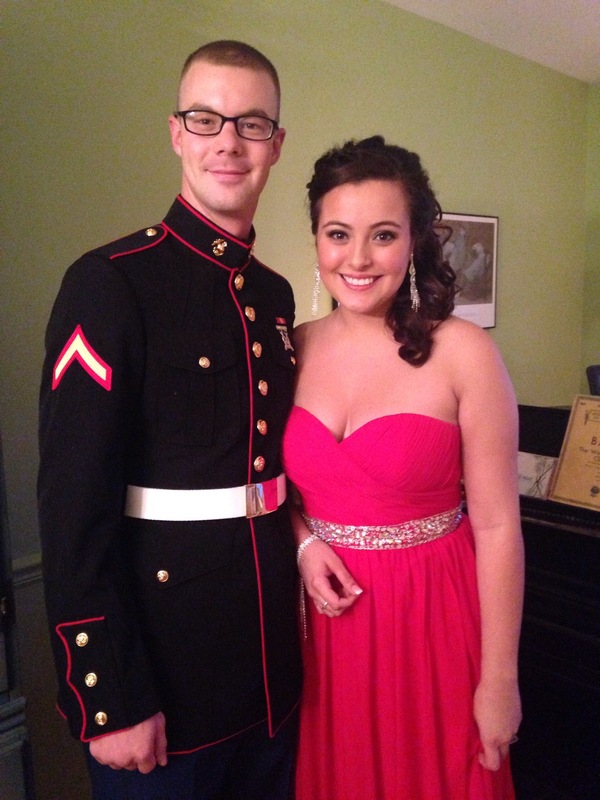 I hope your son and his partner enjoyed the Marine ball. That’s a great selection of book you’ve got lined up, and I’ll be interested to read your posts over the next few weeks. I’ve just finished reading another two for German Lit Month, so I need to crack on with the reviews. The spark that was inside my heart grew into a flame with reading Buddenbrooks. I’ll probably go a bit into December with all the German literature I’ve planned to read. 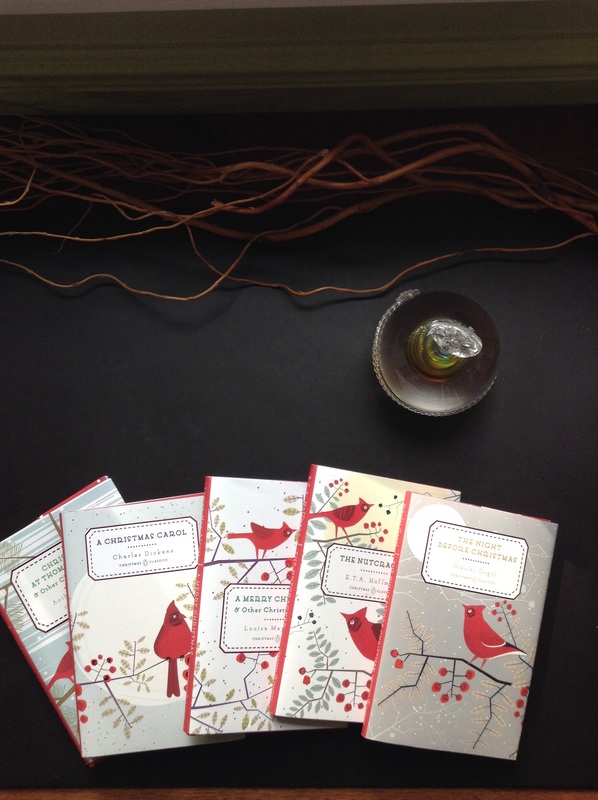 As for those Penguin Christmas Classics, it is too early for Christmas, but…they are so enticing! That’s awesome and his date is lovely! She indeed looked lovely, and I was so happy for him to have such a lovely evening. What a fabulous photo. I especially like the directness of her gaze — his, too! — and the fact that she smiles with her eyes. I noticed the same thing: her direct gaze, which is so “real”. Not sure of a better word right now, but not hiding anything. It’s taken me a long time to conquer the hope for college. I don’t think college makes a person smarter by any means. Neither my father nor my husband graduated from college, and they’re two of the smartest men I know. It’s just that I wanted the opportunities I thought would be afforded him if he had a degree. Still, all that really matters to me is that he lives an honorable, faith-filled life. I’m so glad to lay that college thing down. It wasn’t easy for this mother. I don’t think I’ve seen a picture of your son before – he looks so smart in his uniform. Thank you, Jackie, for your compliment. I realize it wasn’t a terribly book related post, but I still wanted to share my enthusiasm for his life. Can’t wait to see what you have in store for Japanese literature! What a great photo! Your son looks so handsome in his uniform and his date is just lovely in her fucshia frock. Hope they had a wonderful time 😉 Glad you are enjoying your current read. Sounds like you have some great books lined up. And those Penguin Christmas Classics are just so festive – I love it! Hope you have a terrific week!! All of these photos are gorgeous, Bellezza. How fabulous to see your son (and his date), and to enjoy some superlative reading! Those Christmas classics will surely help usher in the holiday season. I try not to rush Christmas into being, certainly not before Thanksgiving, but they were an exciting package to receive in the mail. Thanks for the compliment to my son, too. They would make fabulous presents indeed. I wonder if I can bear to part with them! Well thanks a lot: now I HAVE to have that Christmas collection! What Stefan Zweig did you read? I’ve only read The Royal Game, many moons ago, but it stuck with me. I haven’t read a Stefan Zweig book yet, but I’m hoping to get to Letter From an Unknown Woman before November ends. If not, I’ll just carry on toward 2015. I’m anxious to discover this new-to-me author. Aren’t the Penguin Christmas Classics delicious? Your son has grown up so much since I first “met” you! I remember his curly locks as a young teen and now he looks like a man. Such a great picture of the two of them. I love that she isn’t posing with her hand on one hip. What is up with that these days? Everyone feels the need to flaunt their muscular arms? 😉 By the way, I actually thought of you and your son as I flew in and out of San Diego, with NTC right next to Lindbergh Field. San Diego is so very beautiful. I’m glad you were there, and I hope you had a chance for a divine Mexican meal. Oh, Arti, you and Les (and a few others) “knew me when…” Thank you for celebrating the joyous times with us, as well as the times when I cried. Since you’re going to read some Stefan Zweig, just thought you might be interested in this article I came across today. Do you know the movie by Wes Anderson The Grand Budapest Hotel was inspired by Stefan Zweig? I read some SZ after watching that movie earlier this year.